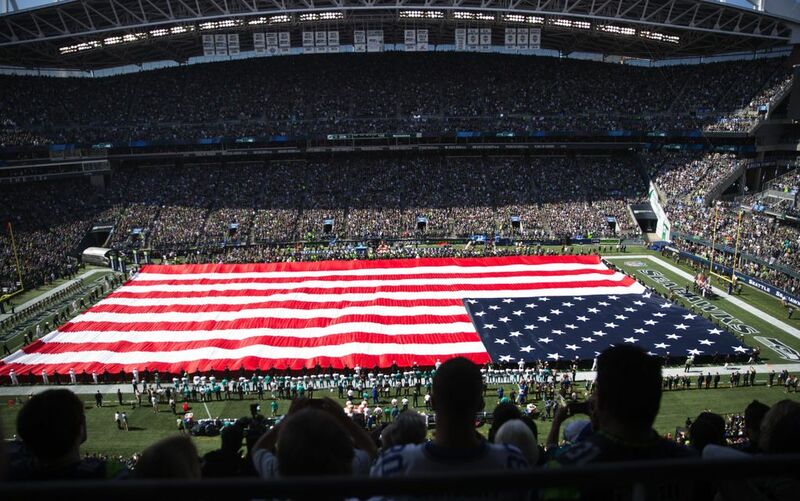 The Seahawks stood together arm-in-arm during the national anthem before Sunday's season opener at CenturyLink Field, a striking visual on the 15th anniversary of the Sept. 11 terrorist attacks. 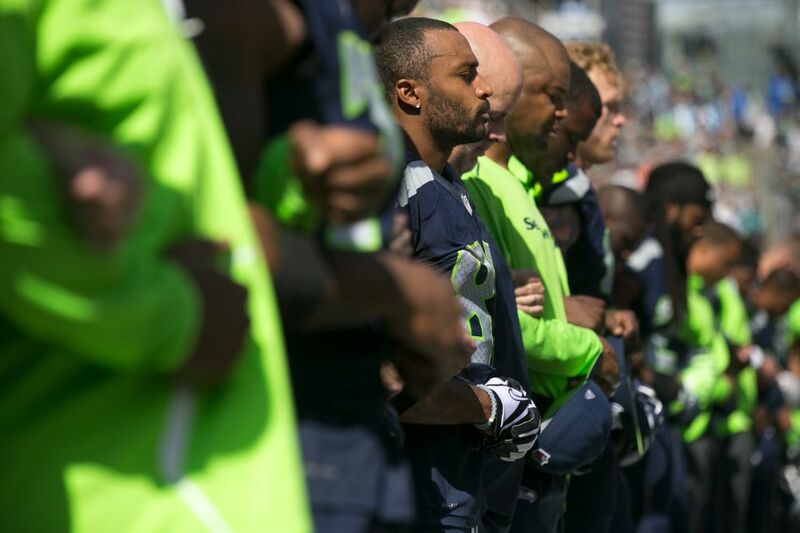 The Seahawks stood together arm-in-arm during the national anthem before Sunday’s season opener at CenturyLink Field, a striking visual on the 15th anniversary of the Sept. 11 terrorist attacks. 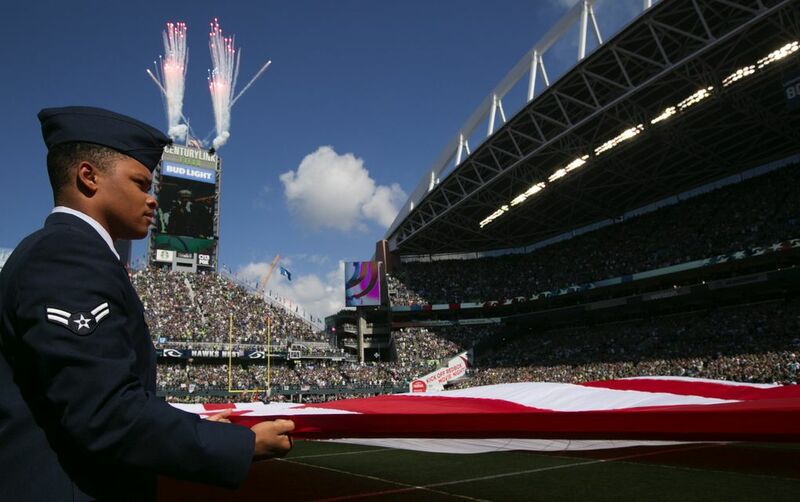 During a pregame ceremony that included local police, firefighters, EMTs and members from all branches of the U.S. military holding a giant flag on the field while the anthem was sung by Keith Taylor, Seahawks players, coaches and support staff stood together on the sideline on the west side of the stadium with arms linked. 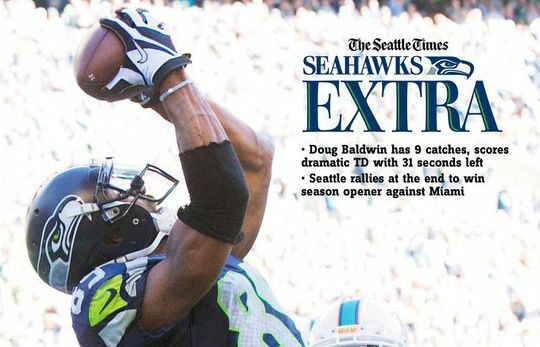 Doug Baldwin had revealed the team’s plans on social media on Saturday after much discussion and speculation during the week about what specific players, or the team as a whole, might do in the wake of several NFL players kneeling or sitting during the national anthem. 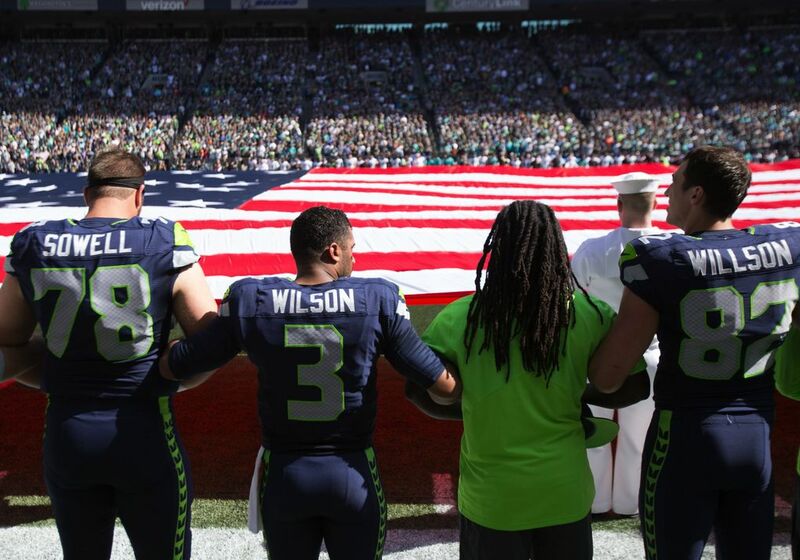 The Seahawks’ Jeremy Lane sat during the anthem before a preseason game at Oakland on Sept. 1, saying he was showing solidarity with 49ers quarterback Colin Kaepernick. 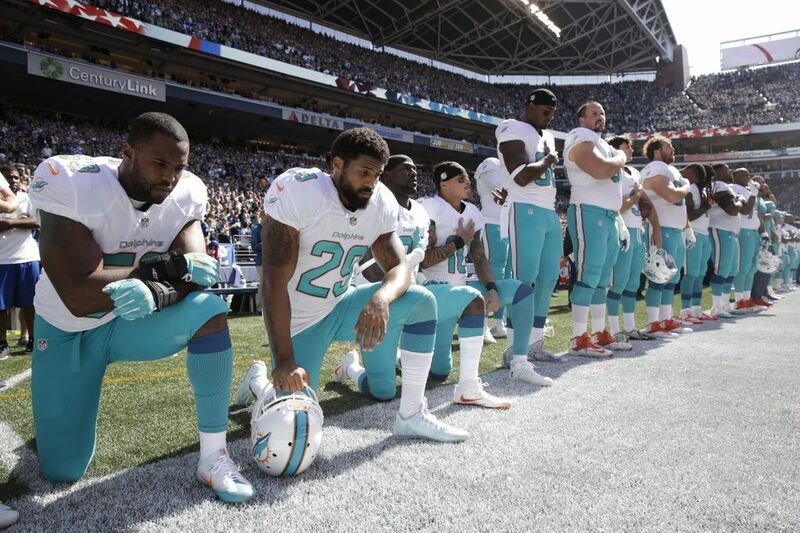 He sat during one game and kneeled during another, saying he was protesting police brutality and social inequality. Brandon Marshall of the Broncos also kneeled during the anthem before his game against the Panthers on Thursday. On Sunday, former Husky Marcus Peters, now with the Chiefs, stood for the anthem before Kansas City’s game against the Chargers while raising his right fist. 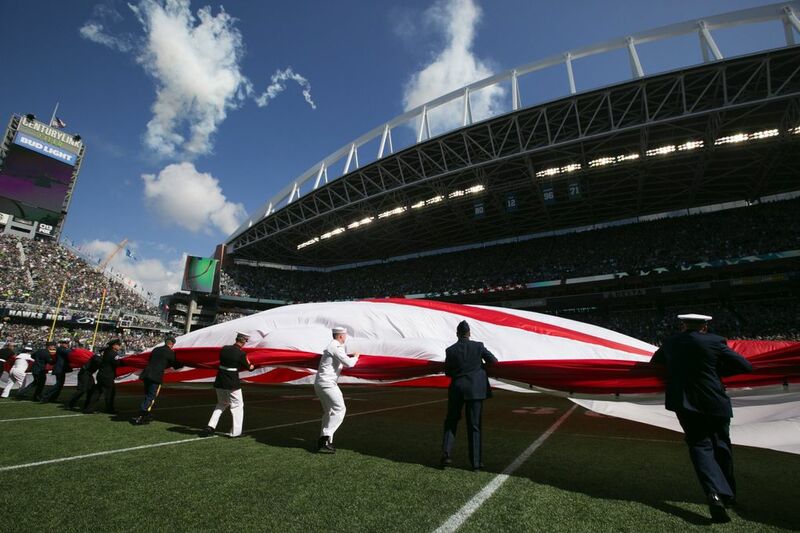 During the anthem at CenturyLink Field, four Dolphins players kneeled, including running back Arian Foster, linebacker Jelani Jenkins, wide receiver Kenny Stills and safety Michael Thomas. 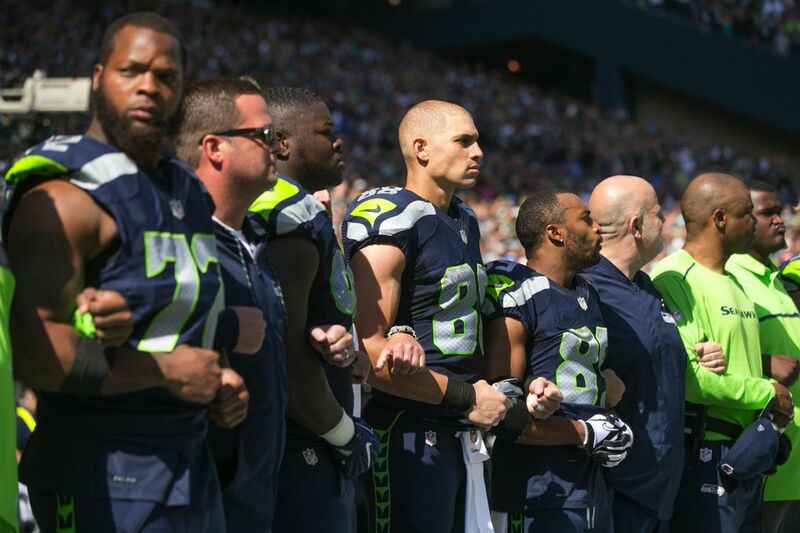 But others, including Seahawks coach Pete Carroll, expressed support once the team’s pregame plans became public.